The President Elect has announced the cancelation of the construction of the New Airport for México City (NAICM), located in Texcoco, from December of this year, once his administration is in functions. Instead of this aerial terminal, which was expected to become a hub, an “airport system” will be created, same that will include the current military base of Santa Lucía, complimented with two additional runways, the current airport of México City, which will be rehabilitated, and the airport of Toluca, in the state of México. Legally speaking there isn’t yet a cancelation of the works, as the President Elect is not yet in functions. As a matter of fact, the current government, through the Acting President, declared that there will be no changes to the concession or execution of the works during his mandate; however, it is highly likely this will change on December 1st of this year. The construction of the NAICM currently encompasses 320 public works agreements and/or services related to public works agreements, same that are compensated through the federal budget. Likewise, there is a partial financial structure in place for the design, construction and operation of the NAICM, by means of diverse stock market instruments. The cancelation of the NAICM project updates diverse legal consequences for both constructing companies and investors, such as indemnities for damages derived from contracts, Mexican legislation and international treaties. As per the Mexican Political Constitution, and other applicable legislation, it is extremely difficult to directly assign the new agreements for the design, construction and operation of the airport system that will substitute the NAICM to current contractors and investors, since this does not guarantee the best hiring conditions for the government. 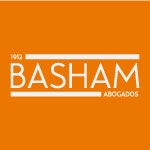 The cancelation of construction works in the NAICM can be challenged by means of an action for annulment, whether because of early termination or administrative rescindment of the construction agreements. In case of foreign constructors and/or investors, said cancelation may also be combatted by means of investment arbitration in case México has executed an investment protection treaty with the country of origin of said companies and investors.